Made from the finest silver available (999). These small hoops have been completely formed and fused by hand. Hammered slightly for added texture and strength. 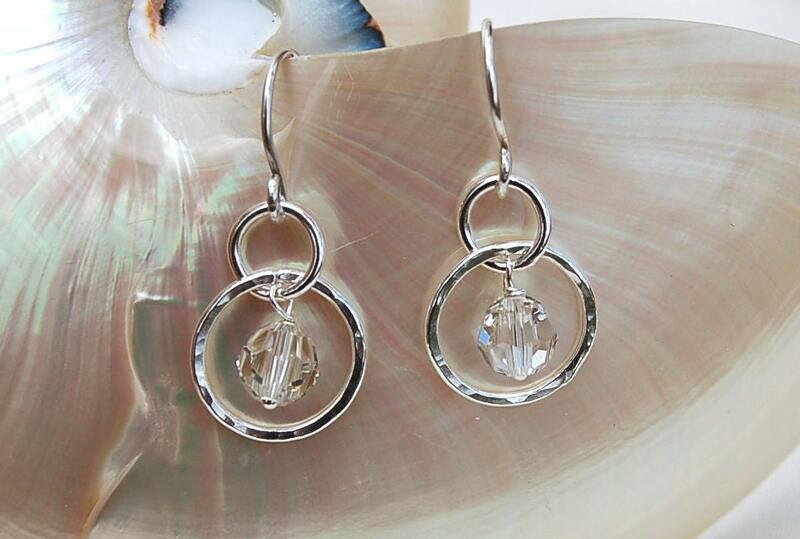 Embellished with a medium sized Swarovski Crystal dangling in the center of the circle. The color of this crystal is called "Crystal Silver Shade" - it is a very light gray color and almost looks clear. Ear wires are Sterling Silver. Circle is 1/2" in diameter. They measure about one inch in length from top of ear wire to bottom of hoop. These earrings can be ordered in any color crystal by request.